It was like coming home. “The first moment Iwalked into this building, I knew it was the right place for our company,” Dominic “Don” Iannitti says. 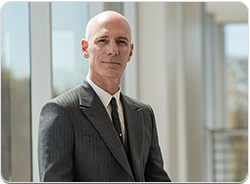 Iannitti is president and CEO of DocMagic, the largest loan document production company in the U.S., and the building he’s speaking of is an impressive, 25,000-square-foot state-of the art technology center in Torrance, California. Within the mostly curved walls of this modern office space, more than 100 employees dedicate themselves to providing unparalleled service for their clients, some of which are the nation’s top lenders. 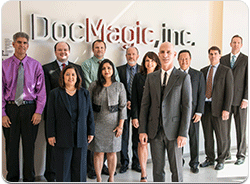 On the company Web site, DocMagic bills itself as “The largest loan document production company in the U.S.” And while that is a grand definition, it doesn’t capture the intelligence, innovation and celebrated customer service level that has earned the company the respect of the industry. National Mortgage Professional Magazine spoke with Don Iannitti, the company’s founder, president and chief executive officer, to discuss how DocMagic emerged to become a leader in its field.